ATS offsets are designed to meet the unique conditions at the job site. They are custom built to your specifications. 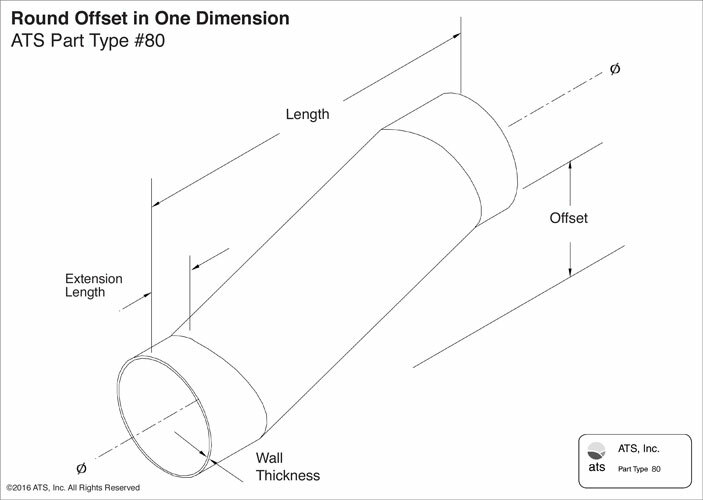 Customer to specify the duct diameter, amount of offset and overall length of offset needed.